Step 1 Combine the tapioca with 2 cups water in a medium bowl and soak overnight in the refrigerator. Step 2 Drain the tapioca and place in the top of a double boiler (or steel bowl set over a pot of simmering water). Add the pomegranate juice, sugar and salt. Cook, stirring often, until the juice thickens and the tapioca softens and turns translucent, about 45 minutes to 1 hour. Step 3Chill several hours or overnight. 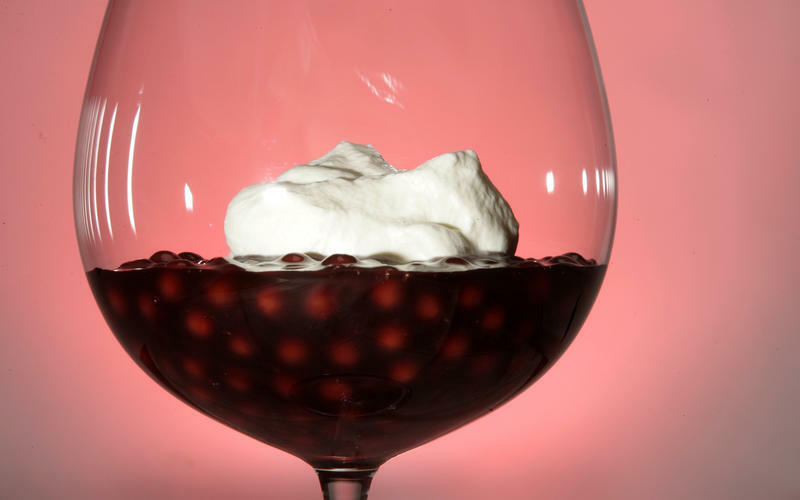 Serve with pomegranate seeds and whipped cream. In Recipes-list.com we have selected the most viewed recipes from category - Desserts . Enjoy the best recipes specially selected for you! Pomegranate tapioca is the right choice that will satisfy all your claims.